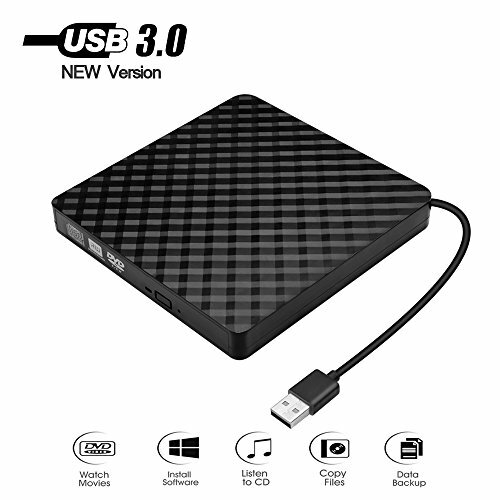 BEVA External USB 3.0 DVD CD Drive, support Macbook, PC, laptop. You can watch DVD movies, burn files, movies to a CD/DVD, install software and creat backup discs etc. Plug and play; No external power supply and driver needed. This ultra slim DVD burner adopted USB3.0 technology. It allows faster data transfer speed. 1. Please directly plug it to the USB port of your computer. If connect it to the USB hub or extension cords, it maybe cannot recognize the Driver or not read the CD / DVD. 2. For the desktops, please connect the device to the USB port of the motherboard for normal use. If you have any questions about this product by BEVA, contact us by completing and submitting the form below. If you are looking for a specif part number, please include it with your message.